The beta-lactam antibiotics are a large class of diverse compounds used clinically in both the oral and parenteral forms. The beta-lactam antibiotic agents have become the most widely used therapeutic class of antimicrobials because of their broad antibacterial spectrum and excellent safety profile. Reports of drug—drug interactions with the beta-lactam antimicrobials are a relatively rare phenomenon, and when they do occur they are generally of minor significance. 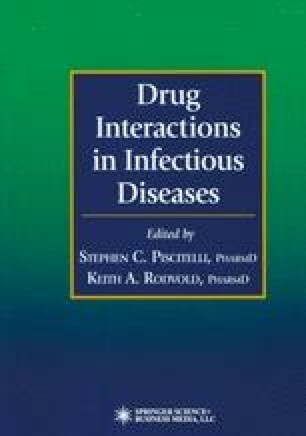 This chapter describes the drug—drug interactions of the beta-lactam antibiotics: penicillins, cephalosporins, carbepenems, and monobactams.